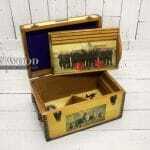 Our Custom Military Keepsake Box is the perfect personalized gift for any Commissioned Officer Veteran. 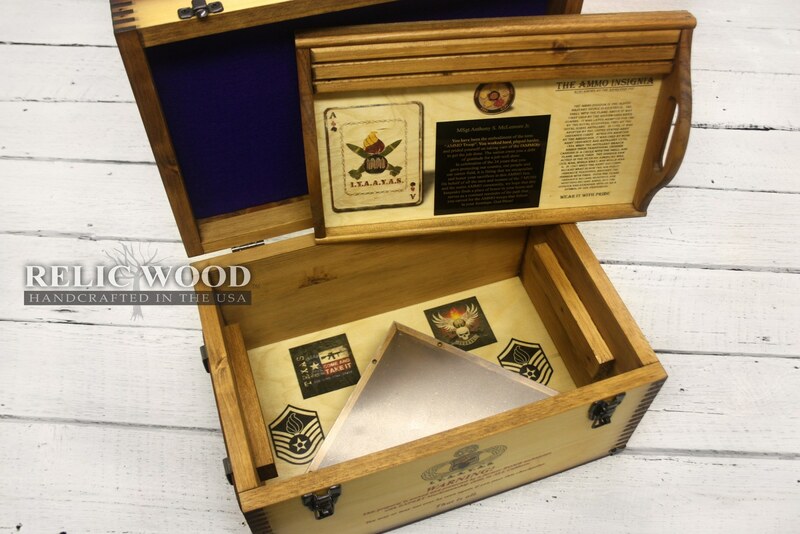 This box comes standard with our Commissioned Officer’s Creed design on the lid top. You can personalize this keepsake box by adding an engraved brass nameplate, brass plaque, felt shadowbox, us flag holder, and a challenge coin holder. Additionally, customize this keepsake box with artwork on the front, inside lid, inside tray, and inside bottom. If you want a handmade just for you gift, that will have sentimental value to its recipient, this is it. Photos are examples only of custom commissioned projects we have completed. Upload your own military photos or custom artwork, and create a one of a kind, handcrafted in America Military Keepsake Box! We allow up to 5 different pieces of art in one location, there will be an additional charge of $24.95 per additional 5 items in one location. You will be assigned a graphic artist who will provide proofs for approval. 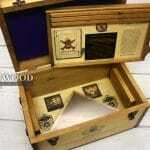 This box comes standard with our Commissioned Officer’s Creed design on the lid top. 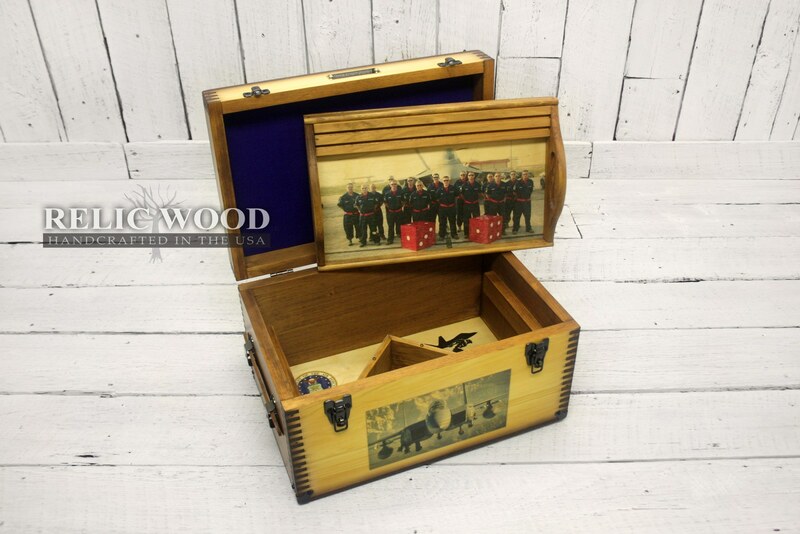 Our Custom Military Keepsake Box is the perfect personalized gift for any Commissioned Officer Veteran. You can personalize this keepsake box by adding an engraved brass nameplate, brass plaque, felt shadowbox, us flag holder, and a challenge coin holder. Additionally, customize this box with artwork on the front, inside lid, inside tray, and inside bottom. If you want a handmade just for you gift, that will have sentimental value to its recipient, this is it. best that effort, thought, and dedication can provide. but to serve my country and my unit. I will endeavor to inspire these qualities in others by my example. to organizations, persons, and my personal interest. 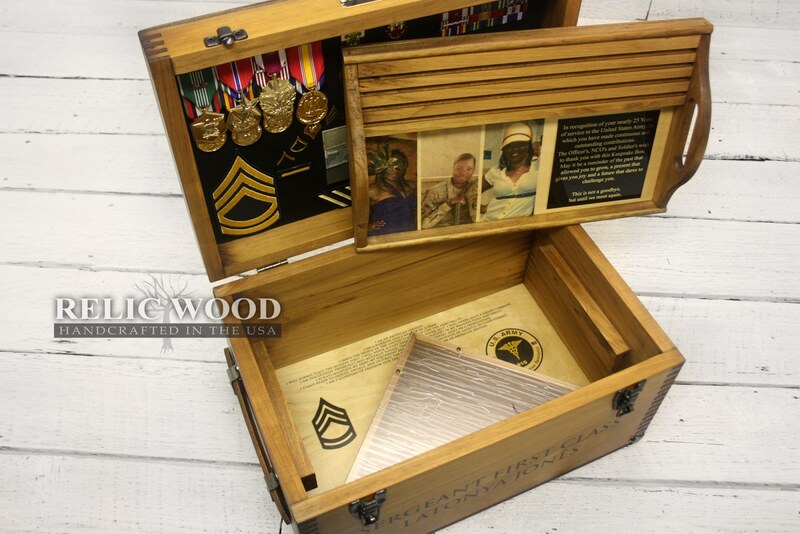 Check out our Custom Commissioned Officer’s Creed Keepsake Box completed projects, then order yours and make it your own. Once you place your order, one of our graphic designers will contact you through your project manager page, they will have artwork proofs ready for you to review, or they may request more info or additional / better quality artwork. We try to keep all artwork communication via our project manager system to document the creation process. Please be aware that the artwork proofs are only an approximation of what the final product will be and should be used for reference only. Our custom sublimation process means that your artwork is embedded in the wood and full-color artwork will differ somewhat from the renderings. 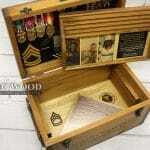 We look forward to making your custom Commissioned Officer’s Creed Keepsake Box soon!